Methylation of key biological molecules and proteins plays important roles in numerous biological systems, including signal transduction, biosynthesis, protein repair, gene silencing and chromatin regulation (1). The S-adenosylmethionine (SAM) dependent methyltransferases use SAM, the second most commonly used enzymatic cofactor after ATP. SAM, also known as AdoMet, acts as a donor of a methyl group that is required for the modification of proteins and DNA. Aberrant levels of SAM have been linked to many abnormalities, including Alzheimer’s, depression, Parkinson’s, multiple sclerosis, liver failure and cancer (2). 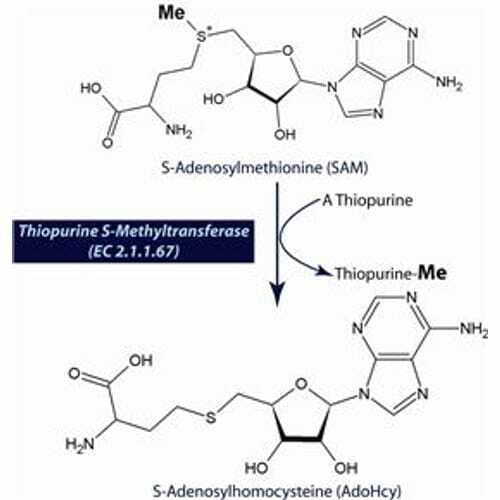 Thiopurine S-methyltransferase transfer methyl groups for S-adenosylmethionine (SAM) to thiopurines. 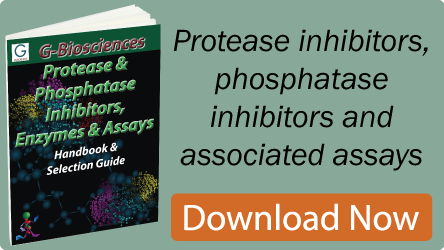 This enzymes is a highly purifed recombinant human Thiopurine S-methyltransferase, EC 2.1.1.67. Cheng, X. and Blumenthal, R.M. (1999) S-Adenosylmethionine Dependent Methyltransferases: Structures and Functions, World Scientific, Singapore. Schubert, H.L. et al. (2003) Trends Biochem. Sci 28: 329-335.